Expect to enjoy your warranty for seven years or 100,000 miles on the odometer, whichever comes first! Nissan* wants to help you repair or replace all covered parts of your vehicle when such repair or replacement is due to a Mechanical Breakdown. Not sure what counts as a breakdown? Don't worry; we'll go over that together so that you're aware. Repairs covered under this Limited Warranty are covered under a minor deductible of $50 per repair. Replacement of any component with a new or remanufactured replacement part manufactured by or for Nissan for use on Nissan cars, trucks, or SUVs. If we do not have a part available, our Nissan professionals can outsource a new component. If your vehicle is not working due to a mechanical breakdown, the Roadside Assistance professional will provide towing for your vehicle to the nearest Nissan dealership whenever possible, or to the nearest approved repair center. This CPO-exclusive coverage offers for towing cost not to go over $100 per claim. Car Rental Assistance – Get reimbursed for car rental costs up to $35/day, to a $175/5 day maximum. If and when you need to rent a car while your Nissan car, truck, or SUV is being restored due to a failed covered component, you can enjoy the rental service! Trip Interruption – Reimburses you for refreshments, shelter, and alternative transportation up to $500 if your car is not working due to a mechanical breakdown caused by a covered part and you are more than 100 miles from your residence. In our advancing effort to communicate our utmost commitment to service and consumer satisfaction in Vidalia, GA, Nissan may occasionally offer exceptional assistance which will pay for all or part of vehicle servicing beyond the expiration of the Limited Warranty period on a case-by-case term. This warranty is an interpretation of our goodwill to our Georgia drivers. Should you undergo unexpected difficulties with your Nissan car, truck, or SUV, contact our team! Our dealership in Vidalia, GA wants to help you. If we cannot assist you, please contact or call our Nissan Consumer Affairs Department at 1-800-NISSAN-1 to notify us of your issues. You will be asked to offer the Vehicle Identification Number (VIN) along with other valid vehicle information. It is vital that vehicle maintenance history records be kept in the event they are needed later. Also, Nissan may infrequently offer to refund or reimburse for part or all of the cost of making specific repairs beyond the terms of the Limited Warranty for certain Nissan models. Some states might refer to these offers as “adjustment programs.” Under the suggested circumstances, Nissan will mail notices to all known registered owners of affected vehicles. You may also inquire about recalls with our team! We are happy to assist you with information, especially when it comes to the applicability of such programs to your vehicle. *The Nissan names, logos, product names, feature names, and slogans are trademarks owned by or licensed to Nissan Motor Co. Ltd. and/or its North American subsidiaries. Other trademarks and trade names are those of their respective owners. Always wear your seatbelt, and please don’t drink and drive. ©2017 Nissan North America, Inc. Printed in the USA. (IMS 3/17). Reorder #1716805WBN. 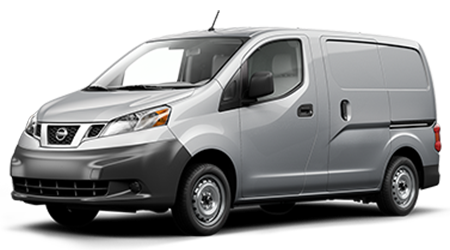 *”Nissan” includes the following: Nissan North America Inc., Nissan Extended Services North America. Roadside Assistance and Towing Services are provided by Cross County Motor Club, Inc.